Side sleeping is the most common of all the sleeping positions, and we’ve tested and rated the best mattress for side sleepers along with compiling all of the research to help side sleepers understand how to optimize their bedroom for a great night of sleep. A mattress with good support and some give can help align and lengthen the spine and body in a neutral position, which helps prevent back and neck pain for side sleepers. When a mattress is too soft, it can cause the body to sink into the mattress too much, causing the spine to curve. Mattresses for side sleepers need to be soft enough to allow for good circulation and to relieve pressure points in the hips, shoulders, and neck. For example, foam mattresses perform well by taking tension away from pressure points. Also, mattresses with a soft outside layer, like a top or cover, are great for relieving pressure. Side sleepers also prefer a mattress that will conform to and cradle the body. The mattress takes away pressure and allows the muscles to relax, which is ideal for getting a good night’s sleep. A mattress with the correct thickness is important for side sleepers, too. Mattress thickness and firmness needs vary for people with different weights. For example, heavier people may have different needs for comfort. If the firmness level is too high for a more petite person, it can cause aches and pains because the mattress doesn’t conform well to the body. Side sleepers may also prefer to have a mattress that has technology built in to cool and breathe well. Many hybrid, foam, and spring mattresses have built-in layers for cooling and breathing. The goal is to find a mattress with support that is rooted in the center of the mattress with soft and firm areas built in for conforming and giving in to the weight and pressure of the body. It is recommended that the comfort level is 5 to 10 (or a soft to medium firm mattress). When a side sleeper moves by twisting or curling legs in the opposite position of the upper body, it causes muscles in the back and the lumbar spine to go out of alignment. This movement can cause and worsen lower back and neck pain. Side sleepers can try to prevent this by sleeping in positions that ensure alignment of the spine and using a mattress that has enough support and softness. Side sleeping can also cause the aging of skin and wrinkles while one side of the face is on the pillow. Although sleeping on the side is beneficial because it elongates the spine, this position can also cause breasts to sag. There are many mattress types and several kinds of mattresses that will achieve both the great support and correct firmness range for side sleepers. Consider these suggested side sleeper mattress varieties below. Note: Side sleepers should consider all types of mattresses with a soft to medium firmness somewhere between 3 to 6 on a scale of 1 to 10 (10 is the firmest). And, consider starting with a 2 to 4 inch soft top comfort layer. A few other kinds of mattresses side sleepers can consider are latex and adjustable air mattresses. 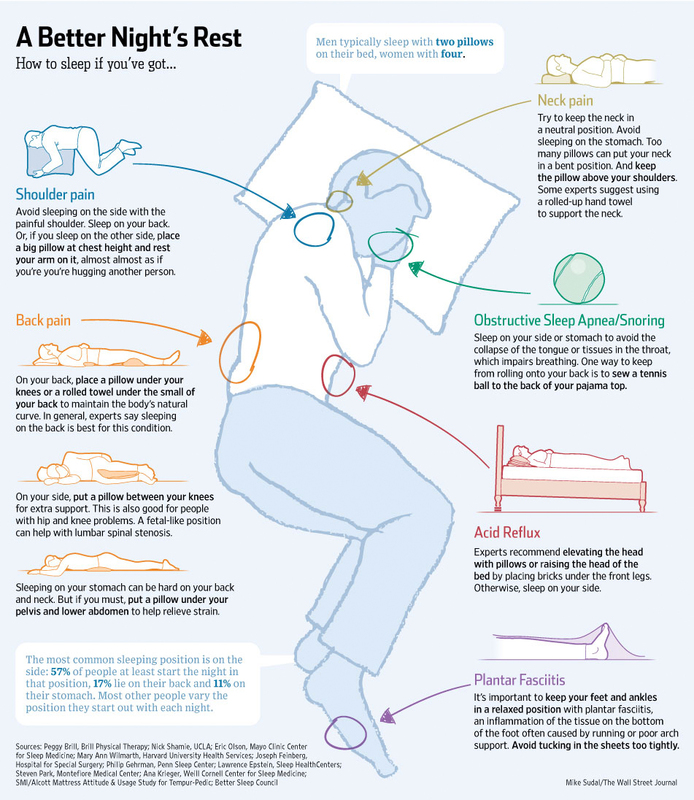 What else should a side sleeper consider? After selecting the proper mattress, the next step is finding the right pillow — it’s just as important! Side sleepers should look for the following qualities in a proper pillow (for supporting the head and neck, and possibly for a pillow that goes in between the legs or knees) for the side sleeping position. Another thing side sleepers should consider is the way in which they change sides during the night. It is suggested that sleepers avoid turning or twisting at the waist, but that they instead move the whole body together by tightening the core and bending knees together toward the chest when rolling over. Also, side sleepers should always keep alignment in the ears, shoulders, and hips when sleeping and when turning or changing positions or sides. No matter the sleeping position, the right mattress is important for getting healthy and consistent sleep. Luckily for side sleepers, there is a wide variety of mattresses available that are suitable for the most common sleeping position. Side sleepers have specific needs that are based on the shape of the body in the side sleeping position. There is a wealth of information available to consumers on mattresses, and personal preference is ultimately what takes precedent for each sleeper when choosing a mattress. This guide provides an overview on the best mattresses for side sleepers based on research from publicly available sources like forums, chat boards, company websites, reviews, and information provided by consumers. These mattress recommendations, which were not weighted in any way, were informed by research and information on each mattress. The high-ranked mattresses in this guide are the best of what’s available on the market right now, and are high-quality mattresses with design, technology, durability, and special features that are well-suited for side sleepers. Nest Bedding’s Alexander Signature Hybrid mattress is a foam and pocket-coil innerspring mattress. The 13-inch mattress is available in medium or luxury firm firmness levels, and most side sleepers will want to choose the medium firmness level for proper support, pressure relief, and comfort. The Alexander Signature Hybrid from Nest Bedding features a 2-inch quilted foam comfort layer on its medium firm design and a 1.5-inch layer on its luxury firm mattress. The foam features cooling technology and is topped with a breathable polyester/cotton blend. The support core of the Alexander Signature Hybrid is a 7-inch layer of 5-zone pocketed coils designed to provide support as well as responsiveness when sleepers switch positions. Comfort: Side sleepers will be pleased with the support offered, as well as with pressure relief. Edge support: The Alexander Signature Hybrid features improved edge support that extends its network of pocketed coils all the way to the outer edges of the mattress. Durability: The Alexander Signature Hybrid is made of durable foam materials and is expected to last between 12 and 15 years with proper use. Learn more by reading our full Alexander Signature Hybrid mattress review. The Nectar mattress is available in 6 sizes ranging from Twin to California King. The 11”, all-foam construction is comprised of 5 layers designed to provide even distribution of weight, support, cooling, and bounce. Side sleepers report that the Nectar has an initial softness on top but provides sufficient support and pressure relief. Nectar offers some of the best guarantees in the industry, with a 365-day sleep trial and a “forever warranty.” With 11″ of memory foam and high-quality construction, the Nectar mattress should be a long-term investment for side sleepers. Firm support: The Nectar is a firm mattress ideal for side sleepers. Learn more by reading our full Nectar mattress review. Save $125 on a Nectar mattress plus two free pillows! Check out these 7 brands that all garnered high overall customer satisfaction ratings and are ideal for side sleepers. Leesa foam mattresses are available in a medium firmness level which is recommended for side sleepers. All mattresses include a bottom support core made with dense foam that provides strength, structure, and durability. The 6-inch support core is ideal for side sleepers who need a supportive structure that helps keep the spine and body aligned. The middle mattress comfort layer is a 2-inch memory foam layer that provides excellent pressure relief and body contouring. For added comfort, softness, and air flow, the Leesa middle layer is topped with a 2-inch cooling foam layer. The top layer performs well for body movement, allowing for easy sleep position changes. 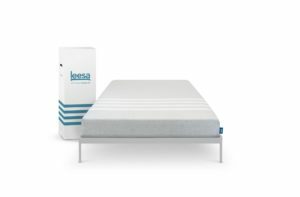 Sleep trial and warranty: Leesa offers a 10-year non-prorated warranty, a 100-night sleep trial, and a full refund policy. Temperature: The three-layer design and Avena foam layer prevent the Leesa from sleeping hot the way other memory foam mattresses often do. Pressure relief: Both the middle and top layer provide softness that helps relieve pressure on the parts of the body that are heavier on the mattress for side sleepers. Want to know more about Leesa? Read our full Leesa mattress review. Tuft & Needle mattresses are constructed with a proprietary T&N adaptive foam (that’s not memory foam or latex). The foam is made to work well for all shapes and sizes of sleepers. When more pressure applied, the mattress becomes more supportive. These mattresses are medium firm, and each mattress is constructed with a 7-inch poly foam support core. 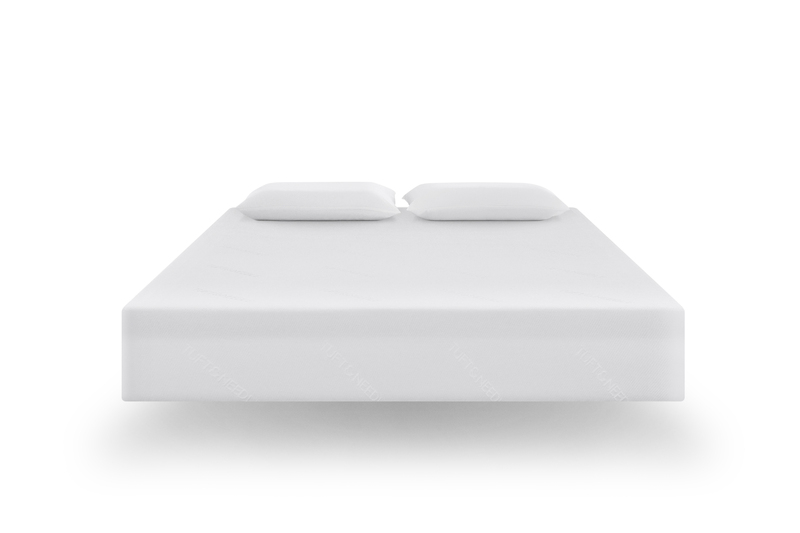 The structured foundation is ideal for side sleepers and keeping the spine and body aligned. The support core is paired with a 3-inch foam comfort layer that offers excellent pressure relief. It is recommended that side sleepers choose a mattress with a comfort layers between 2 to 4 inches thick, to prevent sleepers from sinking too far into the mattress. Temperature: The foam also is breathable and draws heat out of the mattress for cooler sleeping. Motion isolation: The Tuft & Needle mattress performs well in insolating movement. Durability: With a 7-inch support core and up to 4 inches of comfort layers, the Tuft & Needle is a durable mattress, especially for its price point. 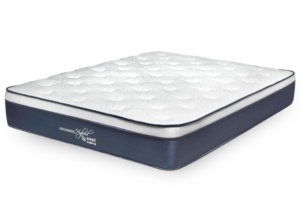 GhostBed mattresses have great durability, and an excellent balance of comfort and support. They are medium to medium-firm. All of these traits are ideal for side sleepers. The mattresses are constructed with 11 inches of layered foam. The support core is a 7.5-inch high density foam that provides good support to help side sleepers keep the body in natural alignment. Comfort layers include a 1.5-inch latex layer that is naturally responsive and bounces back into it original shape. A 2-inch proprietary gel memory foam layer is under the latex layer, and provides additional comfort and pressure relief. Pressure relief: The latex layer conforms well to the body to cradle the heavier parts of the body for pressure relief. Temperature control: Latex does not retain heat, allowing for good airflow for more cool and comfortable sleep. Removable cover: The GhostBed mattress includes a plush cover that is removable for easy cleaning. Sleep trial and warranty: GhostBed offers a 101-night sleep trial and a 20-year warranty, both among the best in the industry. 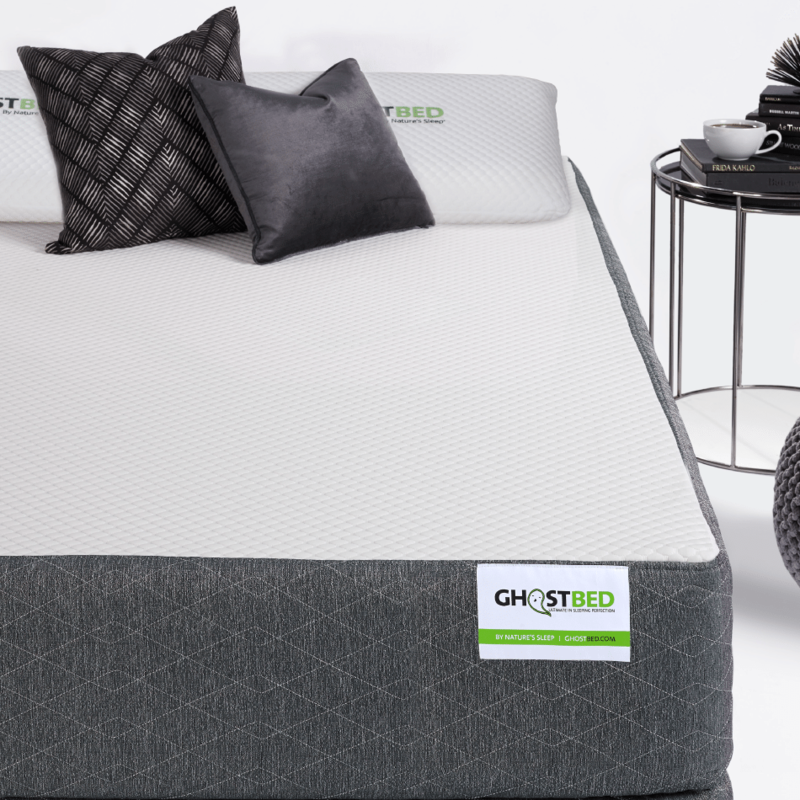 Go in-depth with GhostBed in our full GhostBed mattress review. 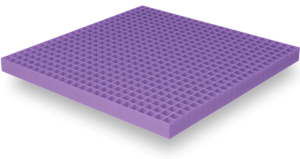 Purple makes foam mattresses with medium firmness, which is recommended for side sleepers. The star of these Purple mattresses is the 2-inch top comfort layer that features a proprietary Hyper-Elastic Polymer material that is excellent for comfort, cooling, and motion isolation. The foam and polymer blend responds well to movement and returns to its original shape. It also supports the heavier parts of the body that sink deeper into the mattress, and its softness offers ample relief for pressure points, especially the hips and shoulders for side sleepers. The support core includes two layers: a 3.5-inch middle layer made with high density poly foam for support, and a 4-inchpoly foam bottom foundation layer. Bounce: Purple mattresses do have some bounce, but also perform well in isolating movement. Ideal for side sleepers: Purple claims their mattress provides perfect spinal alignment for side sleeping. Sleeps cool: The Hyper-Elastic Polymer layer features an open grid design, helping sleepers regulate their temperature. Read our full Purple mattress review to get all the info you need to make an informed purchase. Saatva makes foam and innerspring hybrid mattresses, with foam and memory foam comfort layers and a 4-7-inch support core made with individually-wrapped Bonnell coils. The coil-on-coil system is known for its responsiveness to pressure applied to the mattress and offers the appropriate amount of support for different parts of the body. The memory foam comfort layers work in conjunction with the support base layer to bring comfort and softness to the mattress. The pressure relief of the memory foam layer is important for side sleepers with pressure points at the knees, hips, and shoulders. Sleepers can choose a comfort level – from plush soft, luxury firm, and firm. The luxury firm is appropriate for side sleepers. Durability: These mattresses are known for their durability and can last 10 to 15 years. Support: Due to its coil innerspring construction, the Saatva has a high degree of lumbar support and ample edge support. Value: Saatva mattresses feature a euro pillow top, which is usually found in very expensive mattresses. 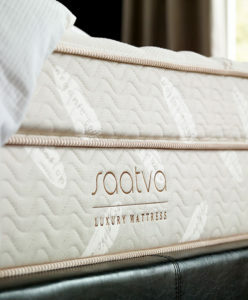 Learn more about Saatva in our full Saatva mattress review. The Layla mattress offers is a flippable memory foam mattress. One side offers a soft comfort level, and the other firm. Side sleepers will most likely choose the soft side for its body contouring and pressure relief. The Layla is made of four comfort layers: a 3” top layer of lightweight foam, a 2” transition layer of denser foam, a 5” support core of dense foam, and a 1” layer of foam for the firm side. Layla offers several features to help side sleepers keep cool, including a ThermoGel-treated cover and “copper infused” memory foam outer layers which are designed to dissipate heat more efficiently than traditional memory foam. Support: Both the soft and firm sides of the Layla mattress offer ample support. Comfort levels: The adjustable feature of this mattress enables buyers to try two different comfort levels. Sleeps cool: The Layla mattress implements several design features that help it sleep cool. Read our full Layla mattress review to learn more. Save $100 off any Layla mattress! Loom & Leaf by Saatva is a premium memory foam mattress made with organic cotton and eco-friendly CertiPUR-US certified foam. Multiple layers of memory foam are designed to offer body contouring and pressure relief. 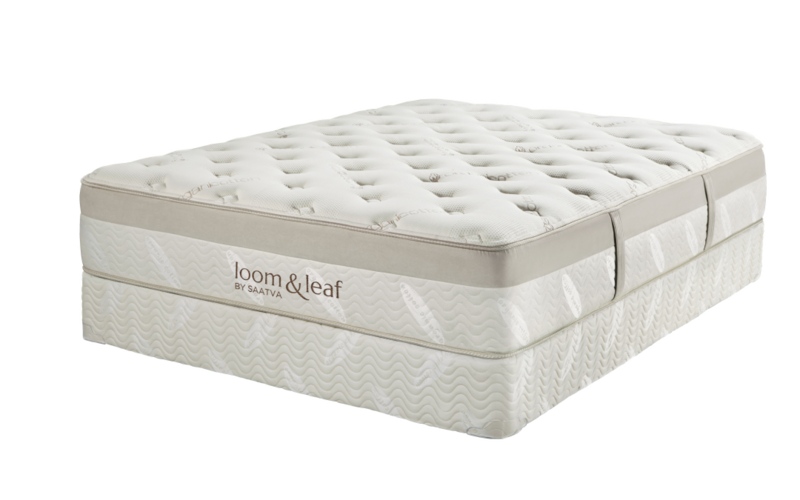 The Loom & Leaf mattress is 12” thick in total, which adds both to its durability and the support offered by the mattress. 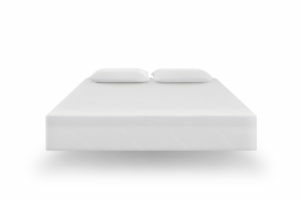 The memory foam used also helps distribute weight evenly across the mattress, allowing heavier parts of the body to sink down and lighter parts of the body to be supported; this is ideal for a side sleeper. Extra support: Loom & Leaf mattresses are quite firm and are ideal for side sleepers who need extra support. Cool comfort: Soft memory foam and cool memory gel help provide pressure relief while keeping the sleeper cool. Delivery and setup: Loom & Leaf delivers each mattress and a delivery professional handles installation. Learn more in our full Loom & Leaf mattress review.